Out of all the Swoon patterns I have tried, this was one of the easiest and least frustrating for me. The zipper detail on the sides is so clever! Holy cow – do the straps look professional! I also used a turn lock instead of magnetic snaps for the flap closure. Total time to make this bag was about 20 hours, including printing, cutting, and taping the pattern pieces. As I’ve mentioned before, I’m a super slow sewist and am totally okay with that. 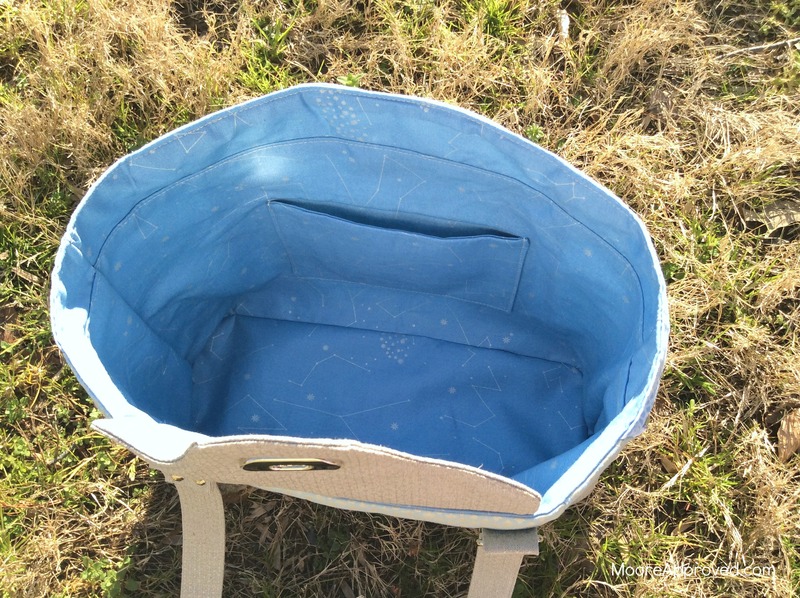 Although I will admit that sewing the bag sides to the rounded bottom was the most challenging part. There are silver purse feet as an added detail. 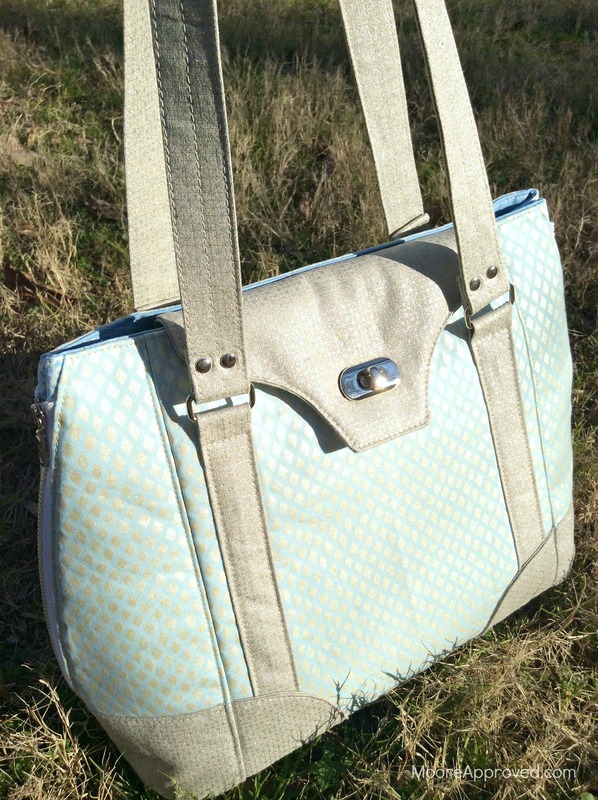 The bag interior has a zippered pocket, and I added a slip pocket on the front inside to keep a phone in. Can’t wait to start using my Harriet! 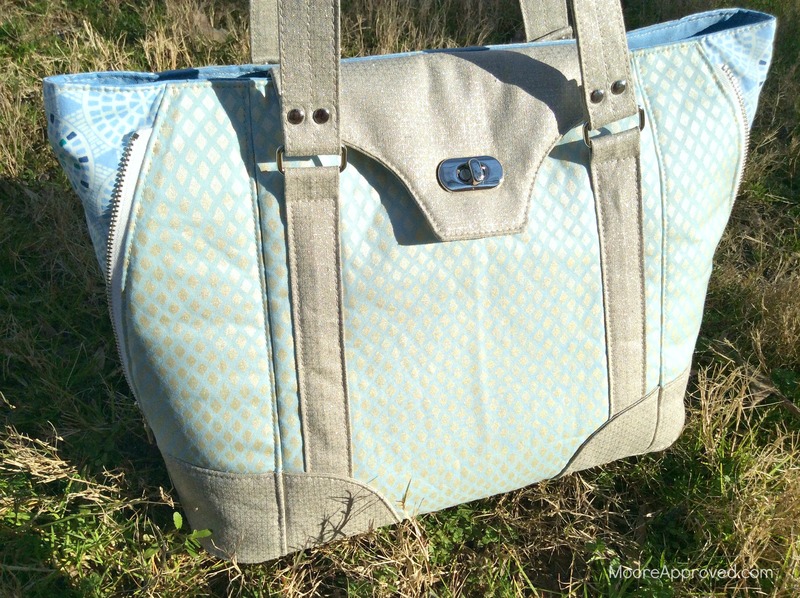 One Response to "Making the Swoon Harriet Pattern"
Wow, this bag looks amazing! The details elevate it to a whole new level. Love the rivets, the turn lock closure, everything! Great job.